Gravelord Nito, the first of the dead. The plateau with the two Skeleton Beasts and a Skeleton Archer has a slope leading down. Take a right to find the corpse with the shield. 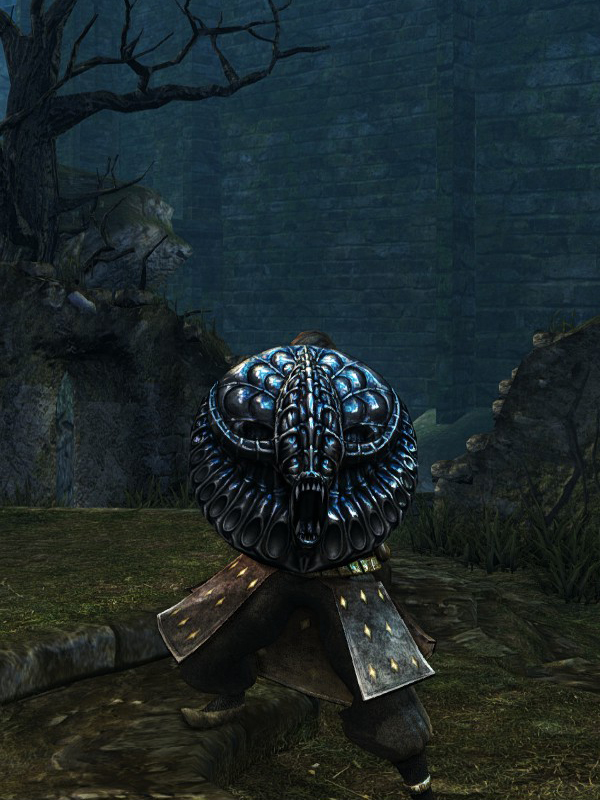 Beware, a Black Knight (Halberd) is guarding the path to the Effigy Shield; it is advised to lure him back on the plateau where you can circle him. This shield was designed by Mat Gunn for the Shield Design contest held by From Software prior to the release of the game. Mat Gunn's original name for the shield was 'Xenomorph's Aegis'. The names of all four winning designers appear in the game credits. Weapon durability reduced to 18. Base damage increased. Cannot repair weapon (except through reinforcement).